We were lucky enough to receive a product from Gor Pets last week. They have a great range of toys called Gor Flex. A fun collection of toys that are made 'using TPR (thermoplastic rubber) which offers a superb combination of rubber and plastic to give a very tough and flexible toy. 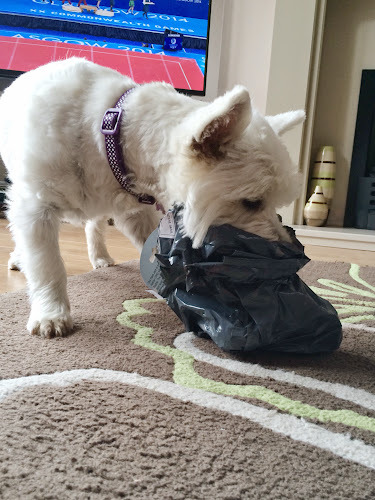 Lottie was extremely excited once the postman had been, and could not wait to start sniffing the package to see what we got. 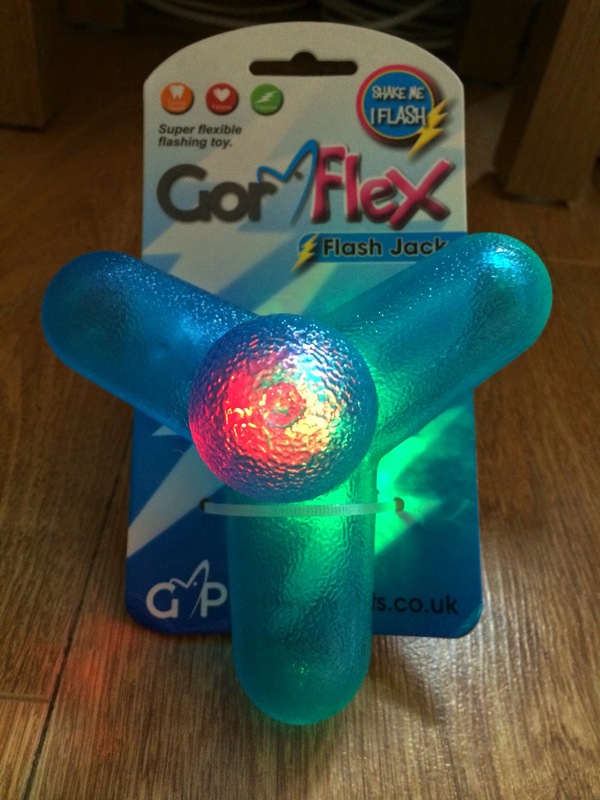 We recieved the Gor Flex Flash Jack. 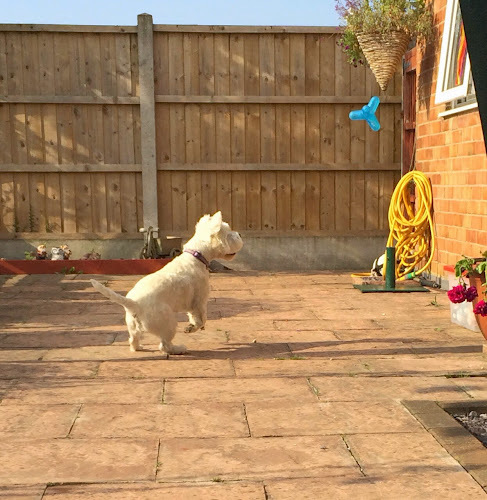 There is certainly no doubting, Lottie is your typical Westie in many senses, but when it comes to a game of fetch she suddenly transforms into a retrevier. She just loves it. The Flash Jack is the ideal toy for those darker evenings, just like the Flash Ball shake it and it Flashes; combined with the random motion the shape provides this toy will keep your dog on the go for hours! Once I had finished my David Bailey act we could go outside and give it a try. We have a fairly big garden and Lottie loves to use the patio as her Olympic park. She has lots outdoor toys, with many of the big brands taking the fore front. So a toy which was centered around her favourite game of fetch has very high standards to meet, and meet it did! Come on mum, can we play now? Lottie loves it and took to it straight away. The material is different from her other toys but that certainly didn't mean she loved it any less. The uncontrollable bounce was definitely a big hit, as Lottie just couldn't keep up with it. It certainly helped to keep her interested for longer. 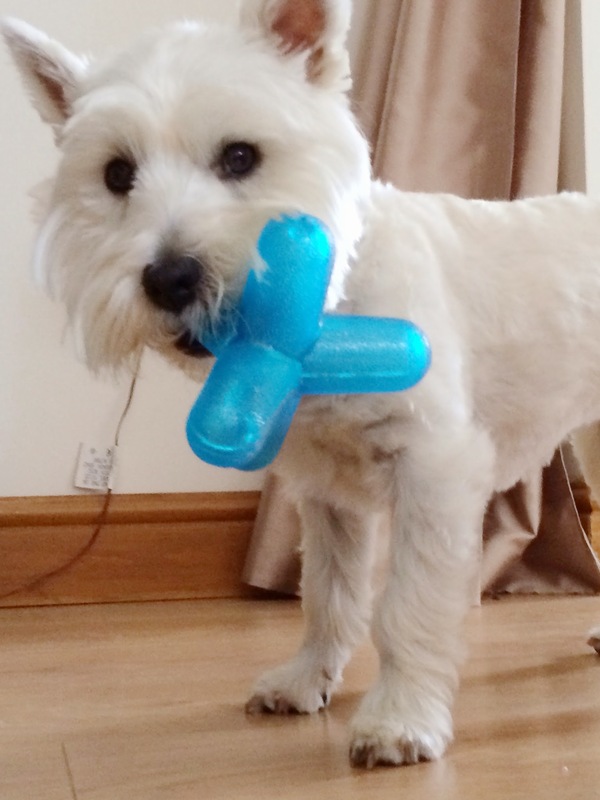 The size is great for any dog as the shape of the toy makes it extra easier to hold, even I found it easier to throw than a normal tennis ball. Great for a novice thrower like me! It clearly got the paws up from Lottie. She just didn't want to stop playing. We both love this toy and it has now taken its proud place in Lottie's outside toy box. Lottie's gives it a massive 5 out of 5 in her woof rating. It's a great alternative for a fetch of game, as well as a great chew toy (Lottie has chewed on its lots for a week without any signs of wear). 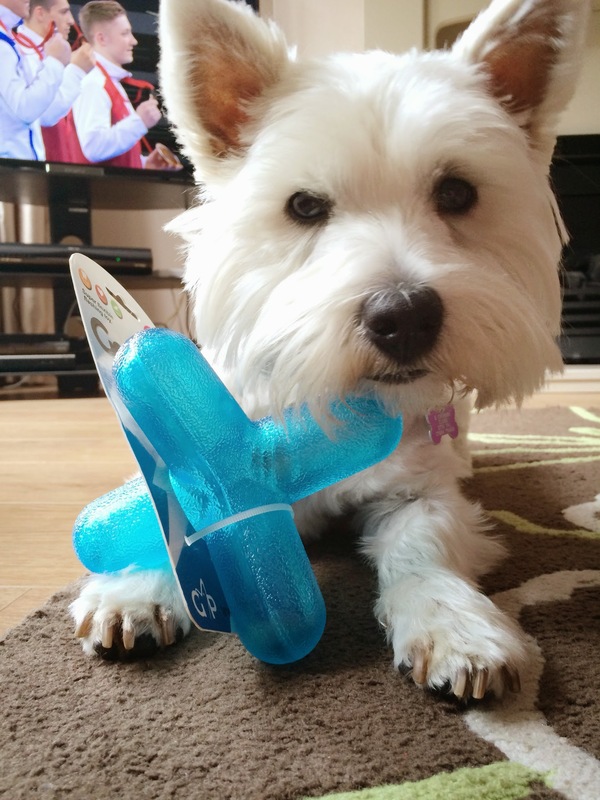 So if you are looking for a great new toy to keep your dog entertained this is definelty worth purchasing. 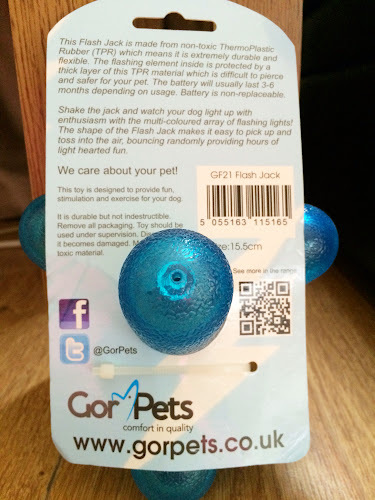 For a list of Gor Pets stockist click here. 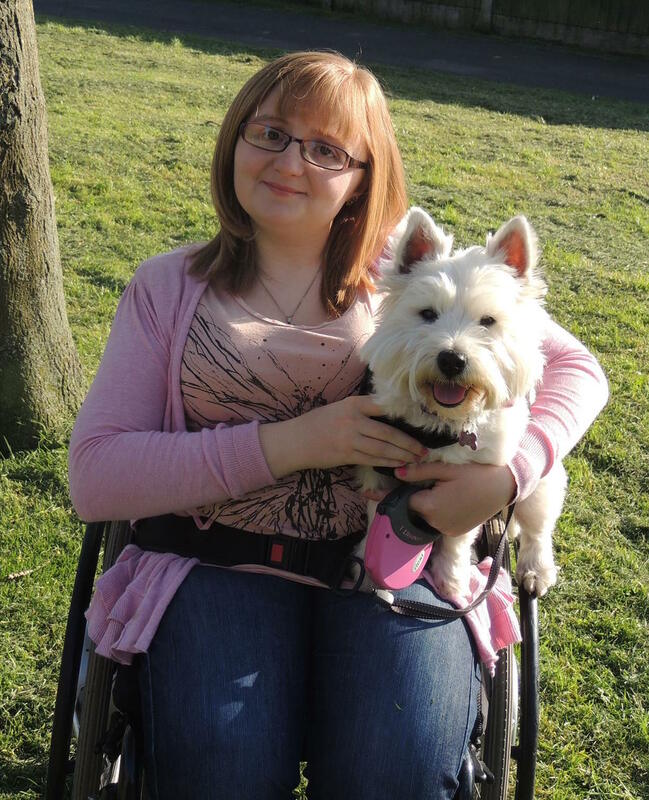 Haha what great fun Lottie! Love how it bounces around. I think it puts a fun twist on fetch. Fun! Looks like a great toy! Rita gets bored with fetch after about 2 throws unfortunately! That looks like one really super fun toy!